Thank you to the community members who participated in the May 17th Community Welcoming Event! The session took place at the Faribault Ice Arena (1816 2nd Avenue NW, Faribault, MN) from 6:00 to 8:30 pm. During the open house style event, participants passed through several different facilitated stations: the Learn, Ask, Wish, Share stations. Participants of all ages were welcomed to contribute their experiences, questions, and ideas for the planning processes in the exercises at the different stations. A summary of the ideas and comments heard at the different stations is provided below. If you were unable to participate in the event, we welcome your feedback and involvement in future events and engagement opportunities. Individuals who require accommodations should contact David Wanberg, City Planner at 507-333-0350 or dwanberg@ci.faribault.mn.us. Thank you! 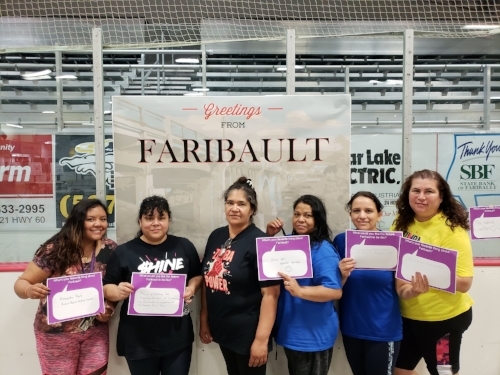 What is your favorite thing about Faribault? 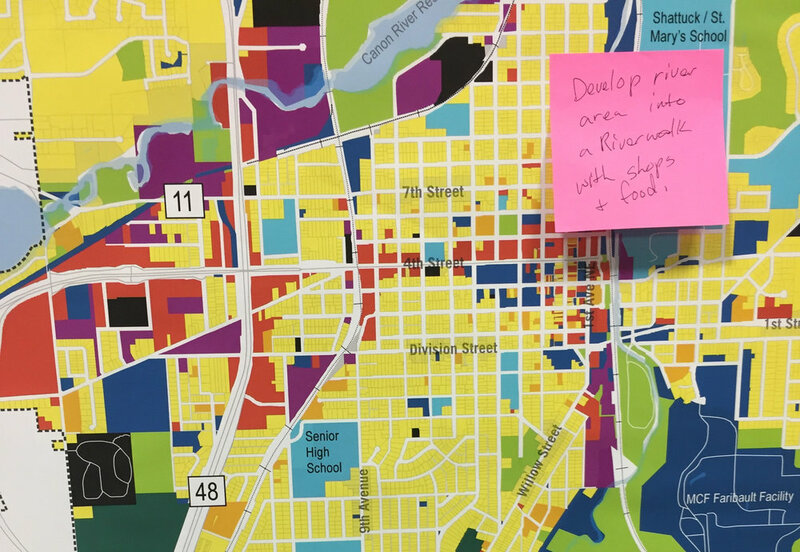 What would you like the future Faribault to be like? Living and Dwelling? Sustainability? 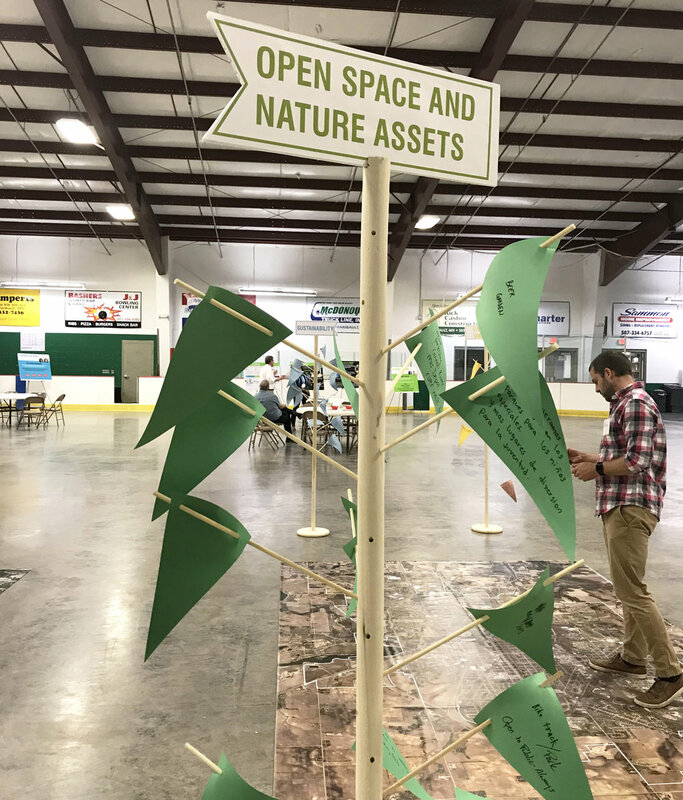 Open Space & Nature Assets? Connectivity and Transportation?